How Are Engagement Rings Made? If you just bought an engagement ring from b2cjewels.com - Congratulations! We hope you love the ring and wish you all the very best in starting this exciting new journey in life. And now, if you're wondering what happens after you click the buy button, we're here to explain how engagement rings are made at B2C Jewels. 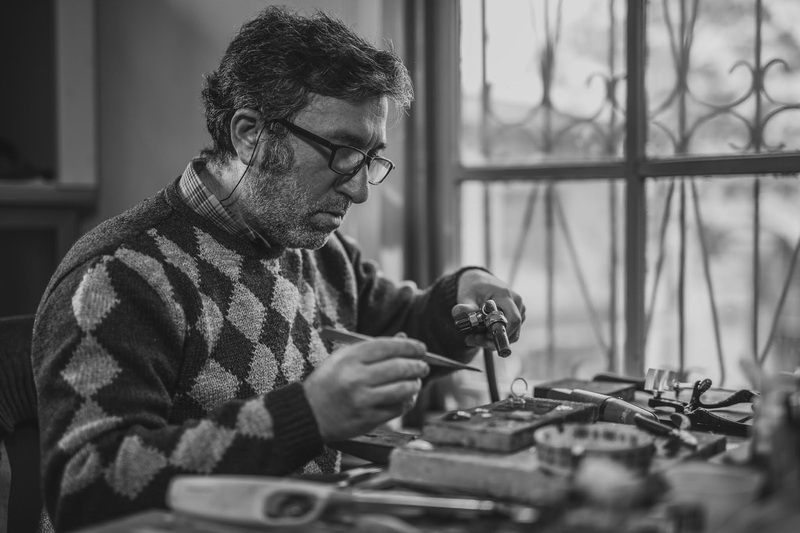 The journey to create your ring is an exciting one and a global one because different parts of your ring come together from all over the world to form one, beautiful piece of jewelry. There are four parts in a ring that need to be assembled by a team of craftsmen - the ring band, the ring head, the center diamond and accent diamonds, if any. Let's start with the center diamond. The diamonds that you see listed on b2cjewels.com are a part of our virtual inventory. What is a virtual inventory? B2C Jewels has partnered with several diamond suppliers across the globe. These diamond partners hold diamonds on our behalf while they are listed in our inventory. As soon as a sale is made, the diamond is shipped to our office in New York. Your diamond could make its way from anywhere in the world, Europe or Asia - exciting! Quality control is very important to us so each and every diamond that comes through our office is checked by our team of gemologists. They match the diamond to its certificate, make sure any inclusions present are not visible to the naked eye and check other quality parameters. We also have an in-house inventory of diamonds called Perfection Diamonds. Unlike the other diamonds in our inventory, Perfection Diamonds are not available with any other retailer. These diamonds are our signature collection and their brilliance is unparalleled. If you select a Perfection Diamond, we already have it with us. While the diamond makes its way to our New York offices, your ring takes shape. The ring band is often cast. This process involves pouring molten metal into a mold and then plunging it in cold water to solidify it. Often several rings are made together with a ring casting tree. So, the rings are one standard size. Each ring is then shaped, polished and sized appropriately. The ring head, the part that will hold your center diamond, is die struck. This process involves pressing the metal between two hardened steel plates which have cut outs in the desired shape. The process results in a ring head that is very strong and essential to hold your center diamond. The ring head is soldered onto the band. This requires expert skills as the welding has to be done in such a way that the whole ring looks like one whole part. 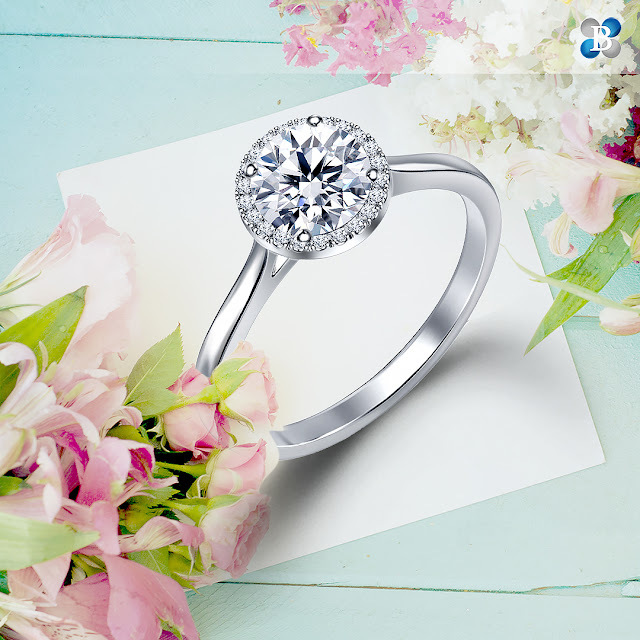 Now that your ring is complete, your diamonds are ready to be mounted in it. This part of the process is done by extremely skilled craftsmen as the diamonds have to be placed in their setting securely. Since each diamond is unique with different sets of angles and measurements, each setting process is unique and takes skill. Finally, the whole ring is polished to perfection. The last step of the process is again quality control to make sure the ring looks beautiful and fits your requested size. We hope you have enjoyed reading exactly how your engagement ring is made. If you have questions about this process, our jewelry advisors will be happy to answer them. Simply give us a call on 1-866-522-2539 or email us on info@b2cjewels.com.